Wow, this episode is like 6 months late. Apologies to our guest Hyunsoo Kim, who was kind enough to visit with us in August of 2017 to discuss being “Out” in Korea. Out meaning… LGBTQ. Obiwan seems to be cool with it. On the Pulse: Discussion with Hyunsoo Kim regarding what it is like to be LGBTQ in Korea in comparison to other places she has lived. 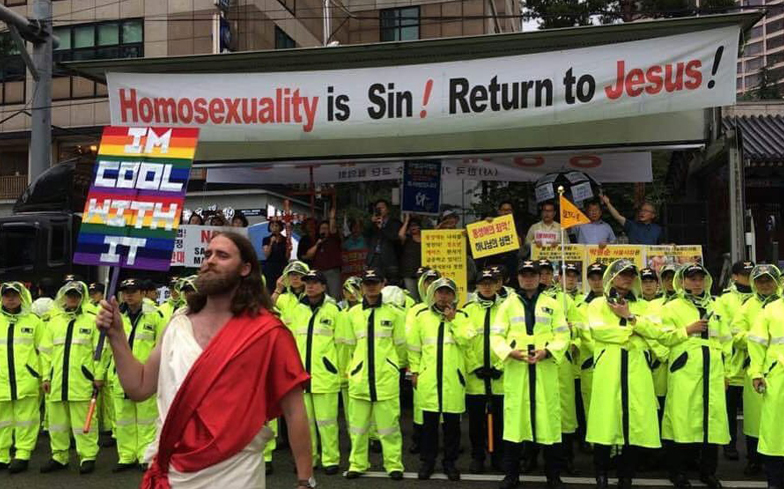 Many people who have lived in Korea for a long time have heard someone tell them that there are no gays in Korea. This is how dire the situation was… recently, but things are changing. But even though Korea is the bbali bbali country, this change can’t be fast enough, because Korea is still lagging socially on rights for sexual minorities. Outside of Korea it may not be such a big deal these days to be out… but within Korea, Hyunsoo says that very few people are really totally out to everyone. Coming out isn’t easy, nor is being closeted. Many people need support for whatever situation they may be dealing with. During our podcast recording, Hyunsoo recommended Ddingddong, a Korean youth crisis center as a resource for people who may need someone to talk to.